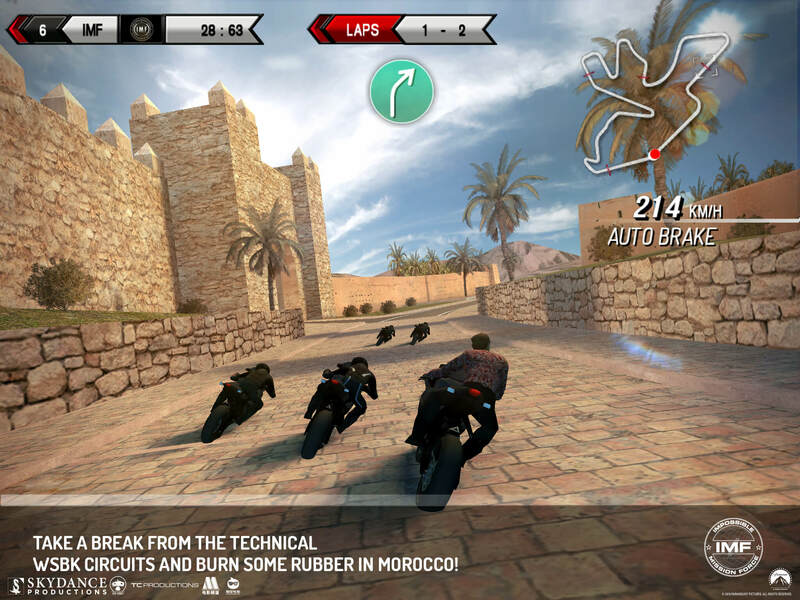 London, 23rd July 2015 – Italian developer Digital Tales joins forces with Paramount Pictures to promote the release of the upcoming “Mission: Impossible – Rogue Nation” movie and launches a content update to SBK15 Official Mobile Game featuring a new exclusive track set in Casablanca. 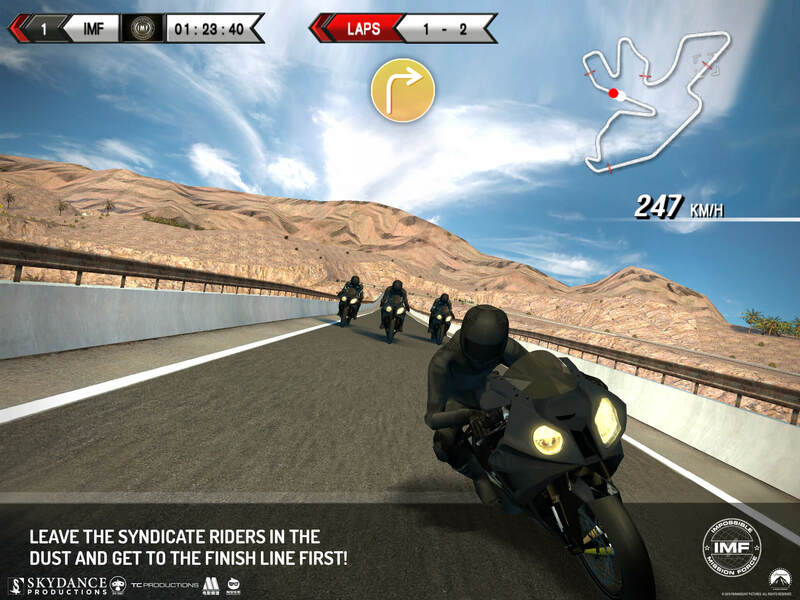 Make the Syndicate riders bite the dust and cross the finish line first! The Syndicate has been located in Casablanca and have their hands on classified Intel. Your mission is to outrace the Syndicate’s riders and retrieve the Intel. On top of that, the new update includes an exclusive preview trailer of “Mission: Impossible – Rogue Nation”. What are you waiting for? Take a break from the 2015 eni FIM Superbike World Championship and fly to Morocco to experience the most adrenaline-fueled impossible mission ever! We suggest you directly contact Microsoft’s Customer Support service to get some help on downloads from the store. Developers have no control whatsoever on downloads and user accounts on the Windows Phone Store. Please, directly contact Microsoft’s Customer Support service to get some help on downloads from the store. Developers have no control whatsoever on downloads and user accounts on the Windows Phone Store. Sorry for that. if you are referring to SBK16, we had some tech issues on releasing the game on Google Play but we’re currently fixing them in order to launch the game on Android as soon as possible. Thank you for bearing with us! I’ve played SBK15, it was really insane and fantastic experience. I still play the game when I get free time. It was the first bike game that seems so real. But, it’s SBK16 that means more fun more amazement. Thanks, Digital Tales Team for this fantastic bike games..
i read your full information which have captivate information for helping me and other so keep writing..